IKEA® stocks more than 10,000 items, most of which are only available in store, and their shipping rates can be astronomically expensive. With Swedish Home Dash & Delivery you simply choose the items you want from their catalog or website and we take care of the rest. We drive to Northern Virginia, fight the traffic, deal with the crowds at the checkout, load up the items and bring them back to you for a very reasonable delivery fee. Due to IKEA recently lowering their delivery prices, we are unable to beat/match their fees anymore. However, we are a local small business that delivers personal service, careful selection and handling of items in an extremely timely fashion. IKEA items can usually be delivered to your door within a week or less. IKEA® is a company based in Sweden that makes affordable furniture and home decor. They are known for their outstanding modern and contemporary designs, and also sell traditional styles that are extremely popular worldwide. They are able to bring products that consumers want at a much lower price tag than their competitors by cutting costs through innovation rather than cutting quality. Swedish Home Design and Delivery safely and affordably delivers your IKEA™ furniture purchase from the warehouse to your eastern Tennessee home! © Copyright 2018 Swedish Home Dash & Delivery. All Rights Reserved. 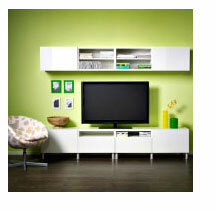 Swedish Home Dash & Delivery is a service provider and is not affiliated with, or licensed by, IKEA®.